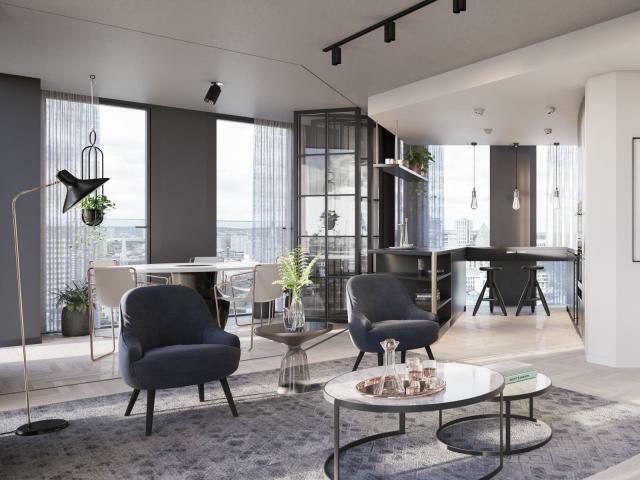 One Crown Place, now launched, is situated just a few minutes’ walk from Liverpool Street Station and Moorgate Station. 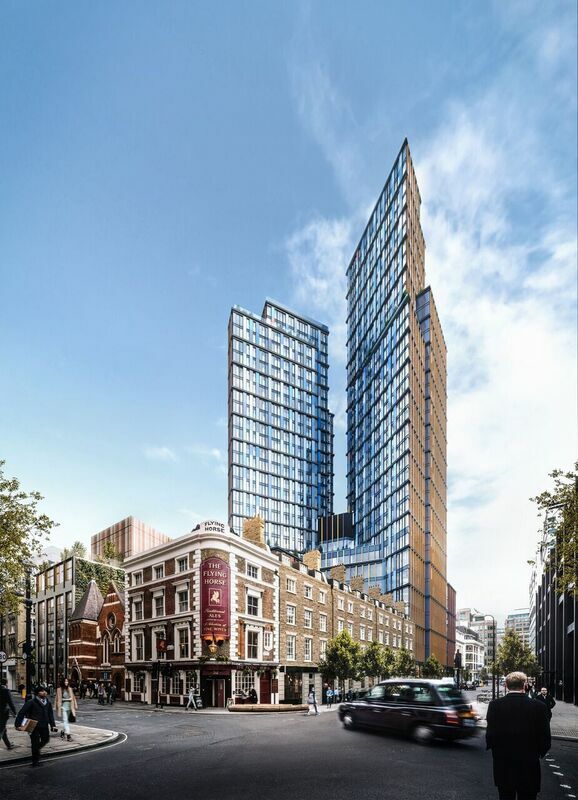 This new mixed use development by AlloyMTD will offer residential, offices, retail and also a hotel and club house. Reflecting the old-meets-new character of the City and Hackney, One Crown Place comprises existing period buildings with two new residential towers offering 246 apartments. The six-floor podium features 15,500 sq m of high quality office space, with a variety of retail space at ground level. The boutique hotel and members’ club occupy the elegant row of Georgian terraces on Sun Street. The residences’ living spaces define modern-day elegance. Quietly luxurious, carefully sourced materials from across the globe sit side by side with details influenced by their eclectic surroundings, while clever zoning creates flexible living and entertaining areas. The result is a beautifully designed building with light-filled spaces that are warm but contemporary, industrial yet glamorous. From One Crown Place’s prime location in EC2, navigating London’s most exciting neighbourhoods couldn’t be simpler. Just a few minutes from Liverpool Street, and with Shoreditch and Old Street a short walk away, there’s plenty to explore in the local area. The rest of London, from the West End to Canary Wharf, is within an underground train journey, plus there are quick connections to all London’s airports. What’s more, with Crossrail services scheduled to begin at Liverpool Street Station in 2018, travelling both east and west will be even faster and more efficient. *Walking and travel times taken from Google Maps and TfL.